Red Tiger is one of the rare companies which stick to their schedule and release new games on a regular basis. It is unreasonable to think that success can be maintained without releasing new titles at least once a month. Red Tiger was founded only five years ago, in 2014. 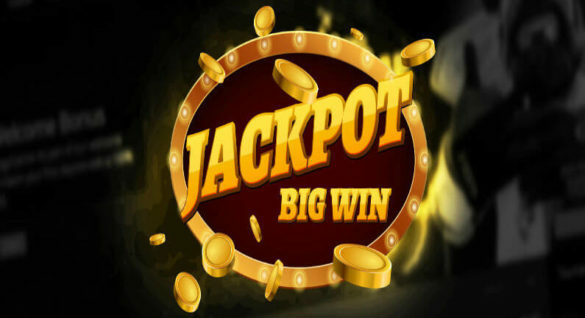 However, the people who founded it were already veterans in the industry who knew everything about starting a new business and getting it to the top of the online gambling industry. As you probably already know, Red Tiger is almost completely dedicated to developing modern slot machines. 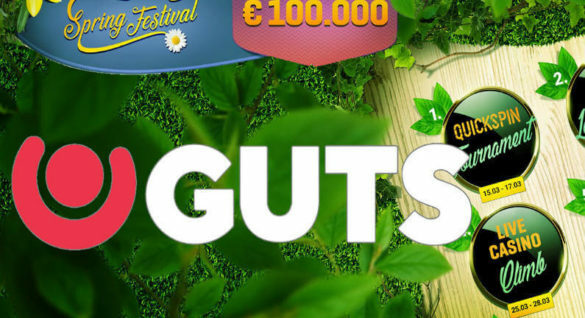 Although they have four table games (Deal or no Deal Blackjack, Classic Blackjack, European Roulette, and Baccarat) in their portfolio, the rest of it is filled with slots. On April 11, they are releasing a game titled “Devil’s Number”. As you can already tell by the title, this is going to be a spooky but extremely exciting release. What we can see from the preview screenshots is that the story takes us deep underground, inside of the devil’s library that’s filled with mysterious books, skeletons, and scary statues. It is amazing how much attention designers at Red Tiger pay to details and colours — the bottom of the screen is black with a bit of red, and as you move upwards, the screen goes redder, perfectly portraying the devil’s home. The game consists of five reels and four rows. You would expect 1,024 ways to win to come along with a game with 20 symbol fields, but Red Tiger decided to go with 30 paylines. This was definitely the right move, as many gamblers complained about too many games using 243, 1,024, 2,048, and 4,096 ways to win systems, which can sometimes take the fun out of games. Although the RTP is still unknown, Red Tiger revealed that Devil’s Number is going to be a high volatility slot, meaning that activating prizes and matching enough symbols on the board will be harder. However, that also means that every prize you get will be significantly larger compared to low volatility machines. Of course, this isn’t something you should rely on 100%. In the end, the RTP is what determines how much is going back to the players. It comes down to personal preference. As we already said, payouts might occur less often, but when they do, they are quite satisfying. The most you can get out of one spin is 2,500x your bet. The details about minimum and maximum bets are not available yet, but knowing that you can get £2,500 out of a £1 spin sounds really nice. The preview shows that one of the features includes the infamous number 666 that “reveals the secret of the beast”, which might be the name of one of the bonus features. 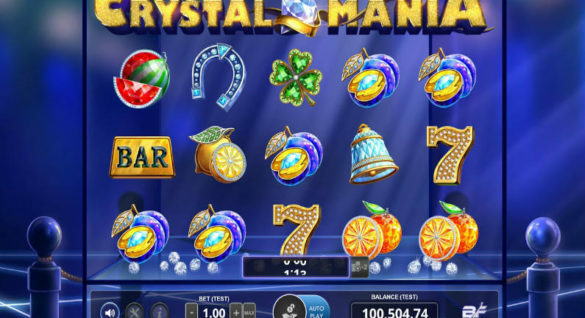 Besides that, you can expect to win upgrade, remove, and Free spins features. Just like any other Red Tiger game, this one will be compatible with desktop, tablet, smartphone, Android, iOS, and TV devices. Just to prove how much Red Tiger loves to spice things up, we’re going to talk about their most recent release titled “Mystery Reels MegaWays”. The background might not be as exciting as in Devil’s Number, but the rest of the design is definitely worth talking about. Red Tiger never misses an opportunity to show us how a simple layout can be both functional and great-looking. When you think about it, what else do you need on the screen except for the bet value setter, the won amount display, autoplay, and the spin button? There are additional options in the header of the game, but you can remove those from the screen if you feel like they are obstructing your view. If you go through game details, you will see that this game has 6 reels and 7 rows. However, you will have a hard time trying to figure out how many paylines there are. That’s because of the MegaWays system. If you’ve never played a slot machine that features MegaWays, here’s how it works. The game displays a random number of symbol fields in each round. That means that the number of possible ways to make a winning combination varies. One reel might come with only two symbols, while the one next to it might display all seven. This makes games more dynamic and a lot more fun to play, without a doubt. Symbols are presented in an old-school way, with fruits, bells, and horseshoes, but created according to the most recent design standards. When it comes to bonus features, you can activate Free spins, MegaWays, and a mystery fruit bonus feature. Since we don’t want to spoil the entire game for you, we highly recommend that you try it out in free mode. If this is your first time playing such a game, that will allow you to test every single feature and see how MegaWays works. Red Tiger says that the maximum win in the game is 10,000 coins. Keep in mind that this results in different payouts, depending on which currency you are using when playing with real money. The game came out at the end of March and is already a huge hit in the UK and the rest of the world. Make sure to jump onto the hype train as quickly as you can and try out Mystery Reels MegaWays for free, or jump straight into the real money version if you know what you are doing.